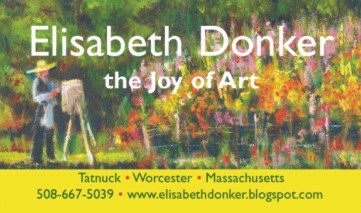 The Joy of Art is an internet documentation of the work of an artist... past, present and future. 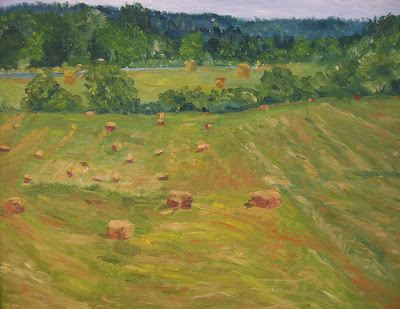 As this is a virtual exhibit I invite you to pour a glass of wine for yourself, sit back, and scroll through the paintings below. 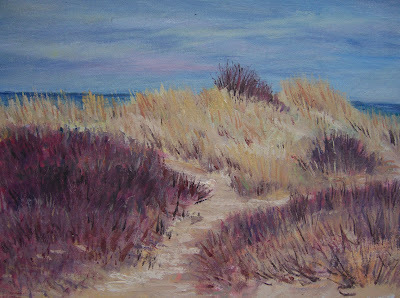 Looking down through the next 5 posts on my blog you will encounter an oversight of some 30 paintings I made on Cape Cod. 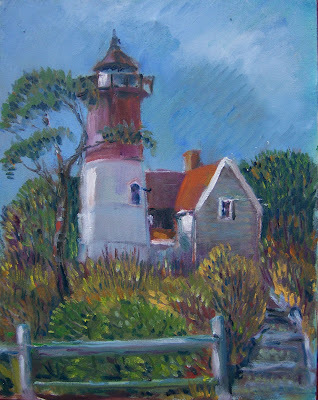 The subjects range from inland landscape to dunes and surf all over the Cape but concentrated around Sesuit Harbor in East Dennis Ma. 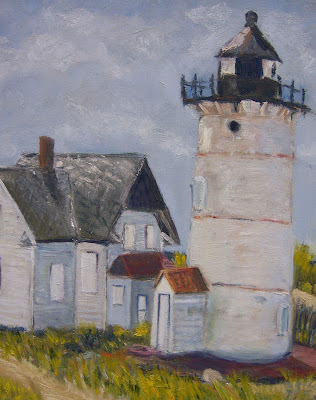 During the seventies I painted pretty much every lighthouse on Cape Cod. 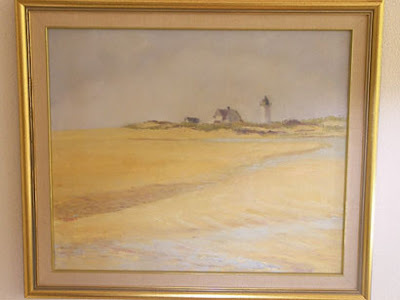 We had a yellow 4 wheel drive jeep back then and were free to drive over the beach and through the dunes with a pass from the National Seashore. 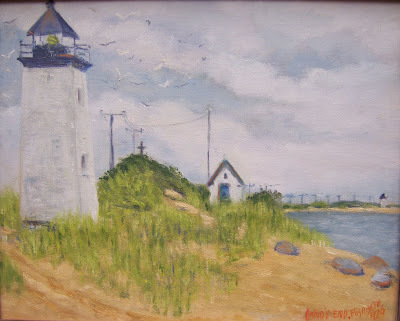 We would drive from Truro along the Atlantic coast all the way out to Lands End in Cape Cod bay. 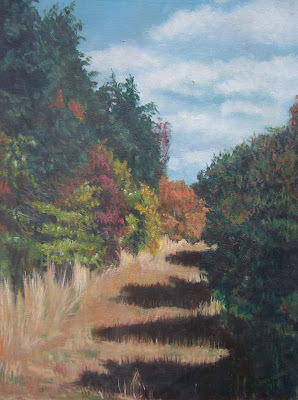 We call this the "Secret Valley". It was just around the bluff from our beach and we did some of our best beachplum picking there. 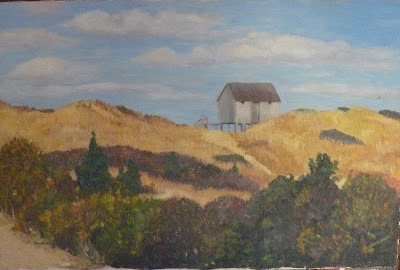 The first painting hangs in Coert's house and is scene from the valley looking back to an abandond beachhouse on the dune. 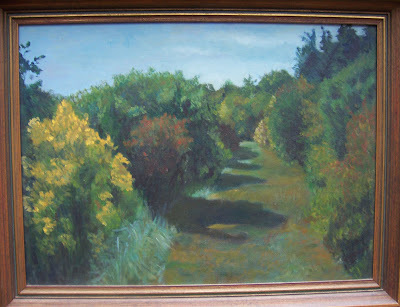 The following two paintings are in the valley itself where the colors in the shrubs always blew me away. 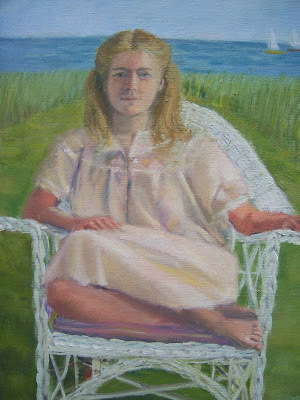 This is a portrait of my daughter, Cornalijn.